There are well over 4000 Hilton hotels and resorts worldwide, across brands ranging from luxurious (Waldorf Astoria) to moderately priced (Hampton Hotels). With such a large global footprint, travelers will often find a Hilton property to be a convenient and comfortable choice for their lodging. The Hilton HHonors program rewards loyal guests with benefits and the ability to earn points that can be redeemed for free nights and, like most loyalty programs, there’s no cost to sign up. You can also earn HHonors points and elite status from certain affiliated credit cards. We’ll go through the benefits of each one, so you can find the card (or combination of cards) that best meet your needs. There are four membership levels in the HHonors program, starting with Blue when you first enroll. The elite status levels of Silver, Gold, and Diamond are achieved through multiple hotel stays or by having certain credit cards. You can read about the benefits of each membership level here. When booking stays using points, elite members receive every 5th night free on Standard Room Reward stays of 5 nights or more. In my article, “Credit Card Travel Banefits: Worth More Than You Think!” wrote about how I used this and other elite benefits at the Pointe Hilton Squaw Peak during a recent trip to Phoenix. The chart below shows you how many points are required for a free night in each category. You can click on each category to see its hotel list. 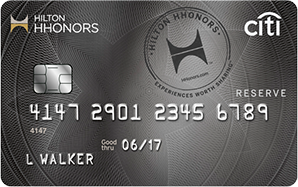 There are four Hilton HHonors branded credit cards to choose from, 2 each from Citi and American Express. They all have different points-earning capabilities and benefits. I’m not including any links in this post since special offers for increased sign-up bonuses change periodically, and when they do, old links expire. If you’re looking for a current link, feel free to leave a comment and I’ll find one for you. The regular sign-up bonus is 40,000 HHonors points after spending $1,000 within the first 4 months, although you can likely find a better one. 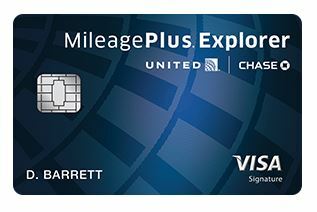 I recently applied for this card when a 75,000/$2,000/3 month bonus was available. The current sign-up bonus is 40,000 HHonors points after spending $750 within the first 3 months. Again, it’s fairly common to find better offers. This sign up bonus is different from the other HHonors cards. Instead of points, the Citi Hilton Reserve offers 2 free weekend nights after $2,500 in purchases within the first 4 months. The current sign-up bonus is 60,000 HHonors points after spending $3,000 within the first 3 months. There are often links available to 80,000 point sign-up offers. 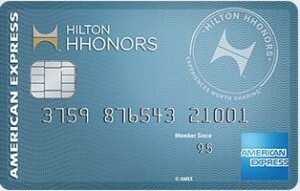 All of the Hilton credit cards described above earn points directly in the HHonors program. 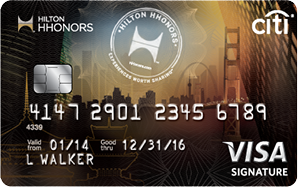 In addition, credit cards that earn Citi ThankYou Rewards points or American Express Membership Rewards points can transfer to Hilton HHonors. 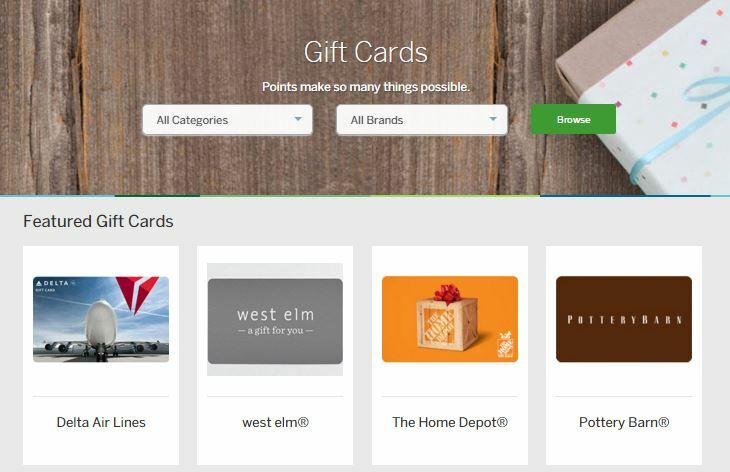 Citi’s points can be redeemed at a ratio of 1,000 ThankYou points to 2,000 HHonors points. 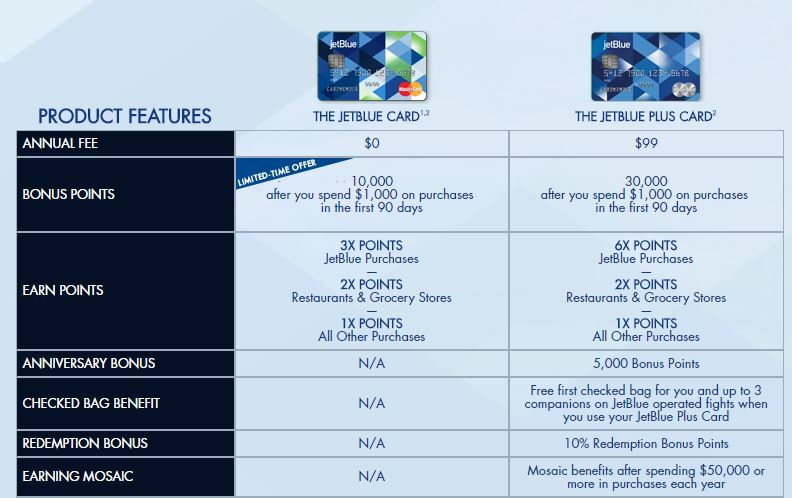 A less compelling exchange is 1,000 Membership Rewards points which can be redeemed for only 1,500 HHonors points. Finally, a new benefit of the American Express Platinum Card is complementary Hilton HHonors Gold status. 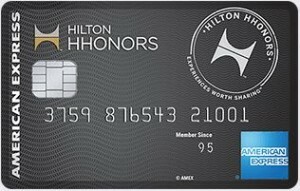 If you’re looking for a card with no annual fee, the Hilton HHonors Card from American Express is the clear winner with a lower spend requirement for its sign-up bonus and more lucrative points earning capability. 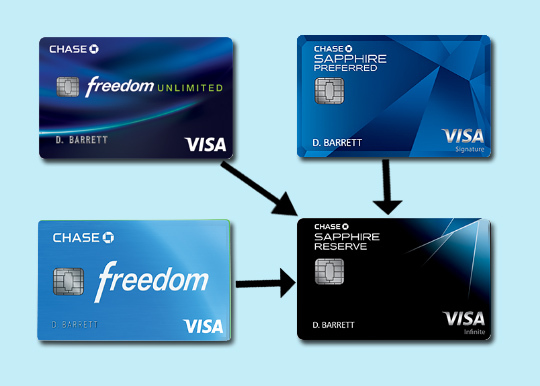 The two cards that charge an annual fee come with substantially better benefits, which may be worth it to you, but the choice between them is not as clear cut. The free weekend night certificates and no foreign transaction fee of the Citi Hilton Reserve can be very valuable depending on where you travel and what type of hotel you stay in. 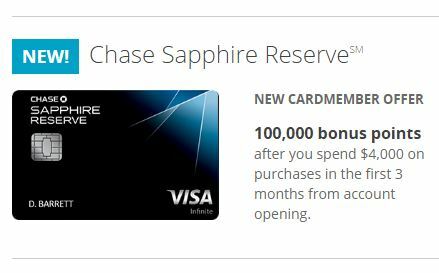 Other readers might find the higher spending category bonuses of the American Express HHonors Surpass and lower annual fee to be preferable. I would break it down in the following manner. 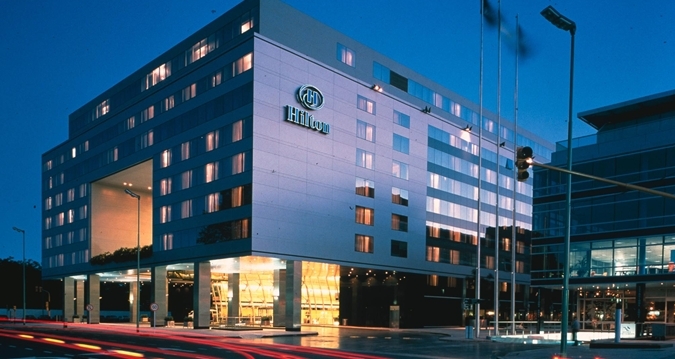 If you travel abroad or would likely use your free night certificates at premium hotels, then the Citi Hilton Reserve should be your choice. If your stays are typically at low-cost domestic Hilton properties, then the HHonors Surpass is likely a better option.